As monsoon season is coming to a close, it appears this week that pirates are returning to the waters of the Indian Ocean. On Wednesday night the ITS San Guisto, the flagship vessel of the EU Naval Forces, captured seven suspected pirates who were spotted on a small boat in the sea off the coast of Somalia. While in the area as part of a counter-piracy mission, the crew of the San Guisto noticed that the small boat was carrying a ladder and many oil drums [which were found to be full of oil and water, allowing the boat to stay in open water longer]. It is atypical for small boats to carry such large ladders; this indicated that the boat was at sea with the intent of hijacking a merchant vessel. 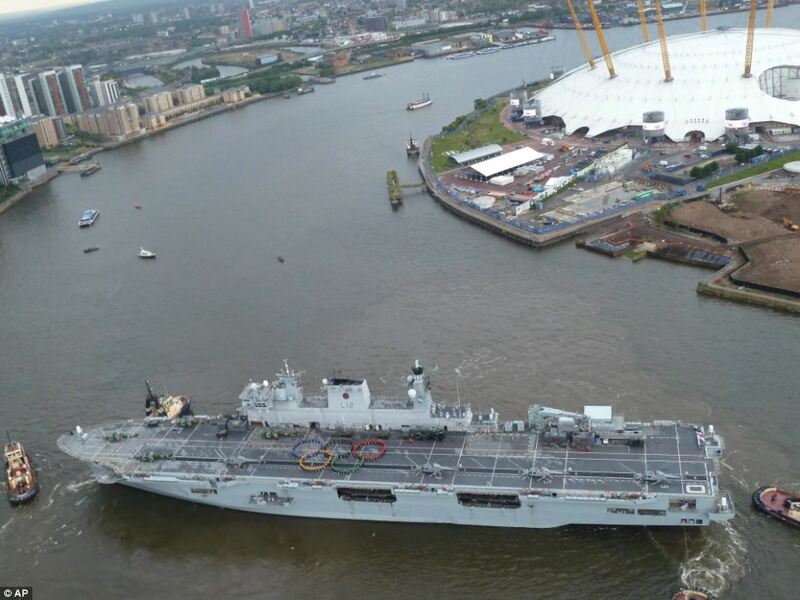 The commander of the forces on the warship noted that this was the first sighting of a pirate vessel in these waters for more than three months. 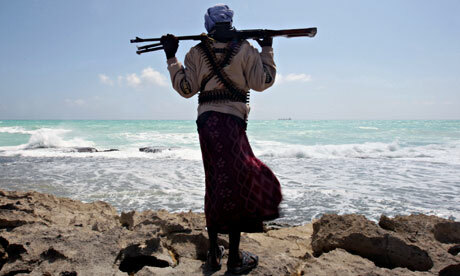 On Thursday another seven suspected pirates were apprehended in the Arabian Sea off the coast of Somalia. After ambushing the Spanish ship Izurdia off the Horn of Africa, the skiff carrying the pirates was intercepted and boarded by a helicopter team deployed from the Dutch amphibious transport the HMS Rotterdam. The Rotterdam has patrolled the waters around the Gulf of Aden since July in an effort to ward off piracy as part of NATO’s campaign to thwart the problem in the region. As of this posting there are very few details regarding the attack carried out on the Spanish ship. Last Friday twelve armed pirates boarded a German-owned tanker off the coast of West Africa, removing the ship’s stores of oil to their barge. These suspected pirates then held the crew for one day while they raided the ship. Before disembarking, the pirates locked all crew members in the master’s cabin. Some of the crew members did sustain minor injuries during the ordeal, but it appears that there were no hostages or casualties. According to the ICC‘s International Maritime Bureau, so far in October there have been six reported pirate attacks or attempted attacks on merchant vessels. These attacks have occurred off the coasts of Egypt, Somalia, Togo, the Ivory Coast, Bangladesh, and Indonesia. Though maritime piracy has experienced a lull in recent months, authorities continue to urge those operating vessels in the waters of the Indian Ocean to remain vigilant against renewed attacks. At this time it appears that pirates hold eleven vessels and about 188 hostages from those vessels. 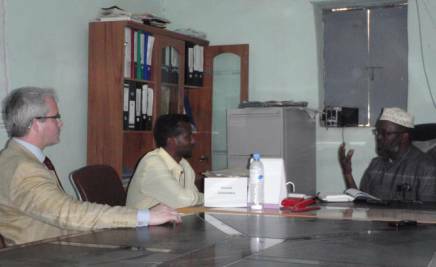 Pirate Attacks Hit “Low Season” in Somalia – Why and What’s Next? According to the International Maritime Bureau, pirate attacks off the coast of Somalia continued to fall sharply in the first half of 2012. July 2012 was particularly significant, with no reported attempted attack. Remarkably, it was the first full month with no noteworthy pirate activity off the coast of Somalia and the larger Indian Ocean since at least half a decade. The last reported attack dates back to 26 June 2012, when a Maltese-flagged bulk ship was fired upon near the Yemeni coast. 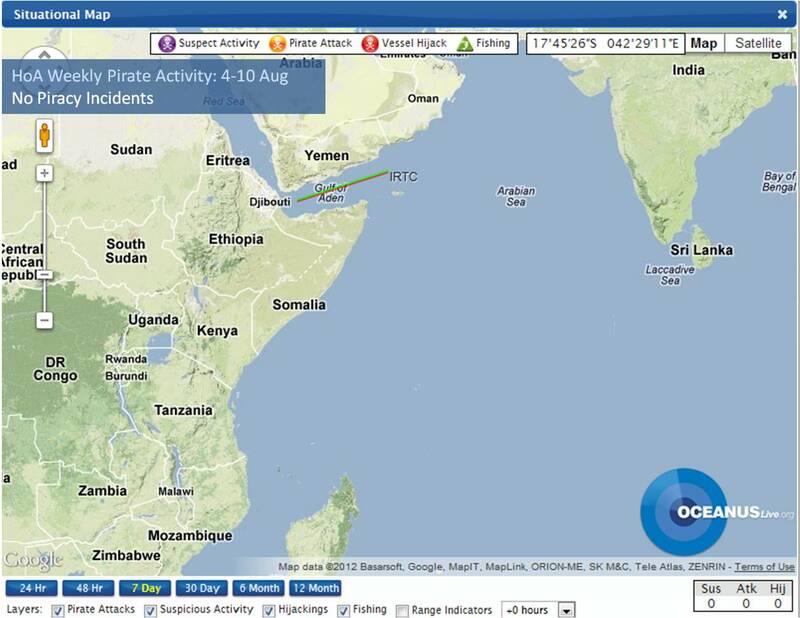 As of 29 July 2012, Somali pirates are still holding at least 11 vessels and 174 crew members. The suprising drop in Somali pirate activity is spurring a debate on the reasons behind it and the impact of the international efforts to counter pirate attacks. Among the main factors are the pre-emptive and disruptive counter piracy tactics employed by the international navies, with military operations now extending both at sea and on land, the effective implementation of the Best Management Practices by the shipping industry, including the use of citadels and other ship hardening means, the strengthening of a regional judicial system of law enforcement and prosecution, also targeting piracy financiers and kingpins, and in particular, the manyfold increase in the use of Privately Contracted Armed Security Personnel and government-provided Vessel Protection Detachments by ships travelling through the area. It is likely that all these factors together and concurrently have contributed to the falling numbers, tipping the risk aspect to rise above the possible profit expectations for wannabe pirates. Bad monsoon weather is also an additional factor often overlooked, with July and August being traditionally difficult months to set off to sea in the region for both pirate mother ships and small skiffs. The current status quo requires the operational strategy to continue and focus also on wider land-based solutions encompassing both security and economic development. Some commentators have warned that pirates and their financiers are simply sitting idle awaiting for better days to come. 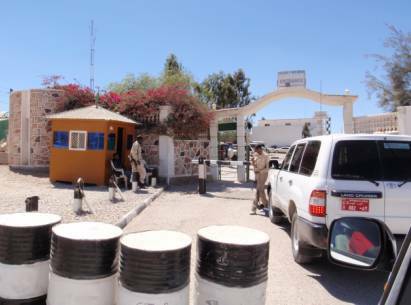 Notably, August 2012 will mark the end of the Somalia TGF. While there are high hopes for a better future for Somalia, it is difficult to assess how this will reshape the Country’s current political landscape. There are also fears that the successes of current anti-piracy measures will detract the necessary attention below warning levels with a consequential lull in the international and national effors to combat piracy. If so, the momentum could shift back in the pirates’ favor. Last month, the U.S. State Department announced that it was offering rewards of $3-7 million for information that would lead to the senior leaders of al-Shabaab. See also, here. As Somali pirates continue to meet considerable resistance at sea, and successful pirate attacks see a precipitous drop, they are seeking new sources of income. This raises the possibility that they will seek to provide information about the whereabouts of al-Shabaab leaders pursuant to the State Department Rewards for Justice program. But there are potential legal obstacles to paying for information from pirates. As some background, there continues to be debate as to whether members of al-Shabaab and Somali pirates are colluding with one-another. For example, in a recent trial in Italy, the prosecutors asserted that pirates had connections to al-Shabaab and planned on using the ransom proceeds to finance terrorist activities. Likewise, Kenya justified its initial incursions into Somalia based upon the assertion that recent kidnappings of tourists and aid workers in Kenya were the work of al-Shabaab (though some of these attacks were likely perpetrated by pirates with no political objective). There have also been assertions that the port of Kismayo, al-Shabaab’s most important source of income, was being shared by pirates. Kenyan Prime Minister Raila Odinga has requested assistance from the EU naval mission to help to take Kismayo, but the EU has been reluctant because it considers the port to be an al-Shabaab stronghold and not a stronghold of pirates. Readers of this blog will recall that in 2010, President Obama issued executive order 13536 imposing economic sanctions on suspected financiers of Somali piracy. Although this same executive order imposed sanctions on the organization of al-Shabaab, the preface specifically declared a national emergency to deal with “the deterioration of the security situation and the persistence of violence in Somalia, and acts of piracy and armed robbery at sea off the coast of Somalia.” Terrorism and al-Qaida were not mentioned, suggesting the economic sanctions were being targeted at pirates. This brings us to the Rewards for Justice program and the list of seven senior leaders of al-Shabaab. Of this list, it appears that three individuals also appeared in the President’s executive order 13536 annex. Perhaps the economic sanctions had always contained a list of both pirates and al-Shabaab. Another possibility is that former pirates have joined the forces of al-Shabaab. Whatever the case, the State Department is prohibited by executive order 13536 from paying for information from the individuals named in the order. Considering the past confusion as to potential links between al-Shabaab and pirates, it will prove a challenging task to verify that a particular individual providing information is not affiliated with one of the individuals named in the executive order or with al-Shabaab. Even if information does not come from individuals specifically named in the executive order, the State Department will have to consider the possibility that reward money will go to finance pirate operations. In the end, it may be a case of the enemy of my enemy is my friend (at least for today). Regardless, the possibility that pirates could provide information as to the whereabouts of al-Shabaab’s senior leaders might be enough to prevent any future alliance between the two organizations. Privately Contracted Armed Security Personnel and Counter-Piracy: Is France at a turning point? A guest post by Valerie Gabard. Valerie is a French national with notable experience in both French and International Law. Previously, she was a legal officer at the Extraordinary Chambers in the Courts of Cambodia. She is currently a legal officer at the International Criminal Tribunal for the Former Yugoslavia. Valerie is also a regular contributor to the Bulletin of the French Society for International Law. The number of recent blog posts on the issue of Privately Contracted Armed Security Personnel (PCASP) undeniably shows the growing role of PCASP as a piracy deterrent. As mentioned in an earlier post, the United States strongly supports the use of PCASP as an efficient means of containing piracy. In Europe, there is no harmonized position either at the European Union level, or among the individual States. As opposed to Great Britain, France has repeatedly expressed reluctance to rely on PCASP to protect French vessels against pirates’ attacks. So far, the French response has been limited to the on board deployment of Vessel Protection Detachments (VPDs) composed of professional soldiers. Until very recently the organization of French ship-owners (les armateurs de France) showed the same lack of enthusiasm with respect to the use of PCASP. Nevertheless, the deployment of VPDs appears insufficient to ensure the security of all French vessels traveling through the Gulf of Aden. As a result, French ship-owners recently changed their standpoint and began supporting the use of PCASP. This development may lead the French government to review its current position on the matter. In late February 2012 a statement from the organization of French ship-owners noted the limits of the VPDs in protecting crew members and the urgent need for alternative solutions. 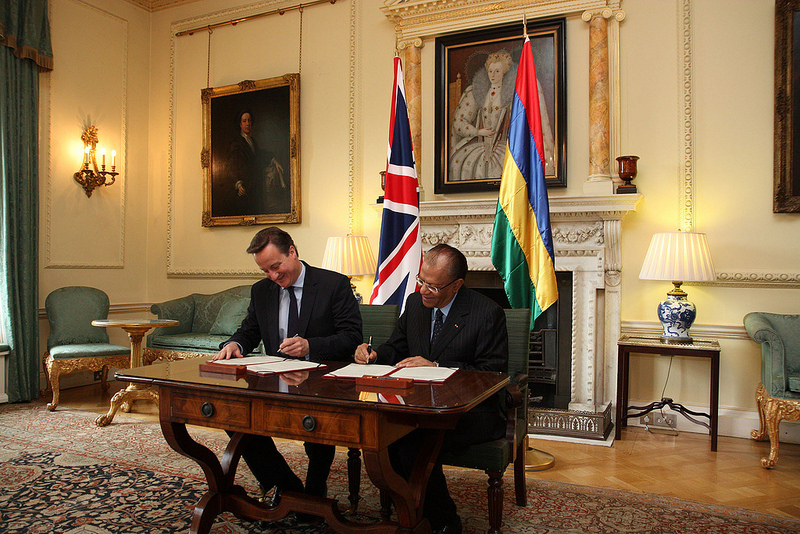 They expressed strong support for a report filed by two members of the French National Assembly. The report underlines the need to reform French Law in order to allow the use of private security companies and to create a proper legal framework for their activities. According to its authors, the report aims to end a French taboo that traditionally associates private security with mercenary activities. The report underlines that the use of private security actors is a phenomenon that cannot be ignored at the international level, especially in the field of piracy, and that private security services have a potential worldwide market value of up to 200 billion USD a year. It further suggests that France should legislate to create a proper legal framework that would ensure transparency and address the responsibility of private security firms in contrast with the current legal limbo. Noting that there is a real and immediate need for private security on board French vessels, the report proposes that counter-piracy could be an area in which the use of PCASP can be tested with a view to possible broader application in the future. It also points to the increasing role of PCASP in the fight against piracy and the fact that French ship-owners may turn to British firms for protection if France does not react adequately. The report notes that although the number of French private security firms is still very low (around 10 to 15), there are important business opportunities in this field. The report is not naïve as it underlines the economic implications behind authorizing private security actors to counter piracy. It implies that France’s position against PCASP is untenable at the international level. With or without France, the number and scope of PCASP will increase in the fight against piracy. It is now up to France to decide whether to create a proper legal framework and be part of it or be left behind. The economic pressure represented by French ship-owners may force the French authorities to review their present position on the matter. While there is still no official position it is clear that France is now at a turning point and that there is an urgent need to take decisions on the matter. With the presidential elections looming, it is nevertheless not expected that an official position will be taken before the summer, at very least. The debate around PCASP in France does not impact or call into question the current French military involvement inthe fight against piracy. This remains the main tool of the French counter-piracy policy and France recently reaffirmed the importance it attaches to a military deterrrent in the Gulf of Aden. Indeed, since April 2012 France assumed command of European Union Naval Force (EU NAVFOR) Atlanta counter-piracy mission off the coast of Somalia. 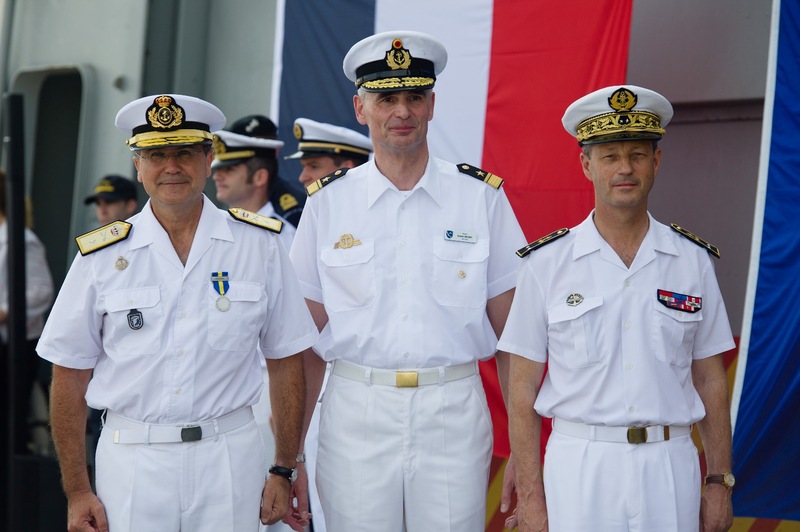 This is the second time that France has held command of the EU NAVFOR Task Force. It is also worth noting that the Council of the European Union has extended the mandate of the EU NAVFOR until December 2014 and has increased the area of operations to include Somali coastal territory and its internal waters.